Shop at a bewildering variety of shops, shopping centres and malls all over London. shopping in London is that. Shopping in London ranks among the best in the world with options to suit every budget and style. Oxford Street is the place that most tourists visit to take in every high street shop in one day. Knightsbridge offers the glittering emporia of Harrod’s and Harvey Nichols and Bond Street is home to the cream of the world’s designer outlets. Alternatively, take a trip around the London markets like Portobello, Brick Lane and Camden market to find everything from antiques to cutting-edge fashion. London is the world’s shopping capital with £62 billion in annual sales topping New York, Tokyo and Paris. Or discover small shops where to buy buttons in London. Knightsbridge is home to the iconic Harrod’s, a huge tourist attraction with over 300 departments. Those in the know head for Harvey Nichols, a much cooler alternative with three floors of designer clothes. Other chic shops like Fendi and Dolce & Gabbana and La Perla can be found nearby. 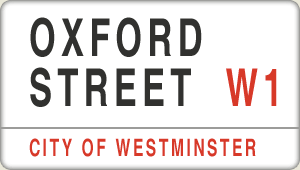 Oxford Street is the busiest shopping area in London with more than 300 shops and with over 200 million visitors a year. The flagship department store Selfridges opened in 1909 and was followed by stores like John Lewis, Debenhams and a range of high-street shops. Westfield London is a pioneering shopping and leisure destination for a new generation of consumer to shop, to eat, and to meet. It hosts five anchor stores: Debenhams, Next, Marks and Spencer, House of Fraser, Waitrose and over 265 luxury, premium and high-street retailers. Find out where are the both massive Westfield Shopping Centres in London. Portobello Road Market is the largest antique market in the world with shops and stalls offering an extraordinary variety of antiques and other goods ranging in price from a few pounds to several thousand pounds. Market day is Saturday with things kicking off at 5.30am and the road in full swing by 8. Tags: london where, shopping london, london shopping mall, london shopping centre, oxford st shops, shopping outlets london, london shopping center, shopping centres london, westfield shopping london, westfield shopping mall london. All photographs that appear on this webpage are copyright of London Where and London Where claims a credit for them.